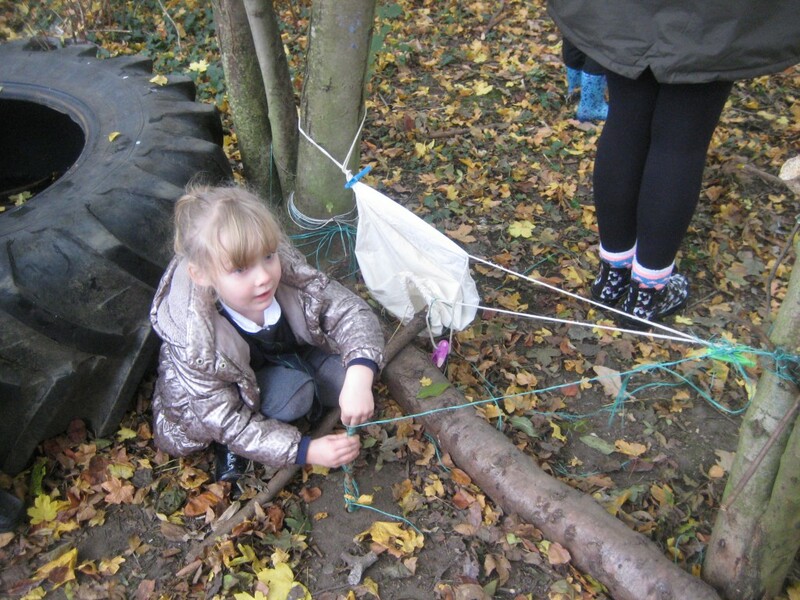 EYFS Curriculum…What is it all about? 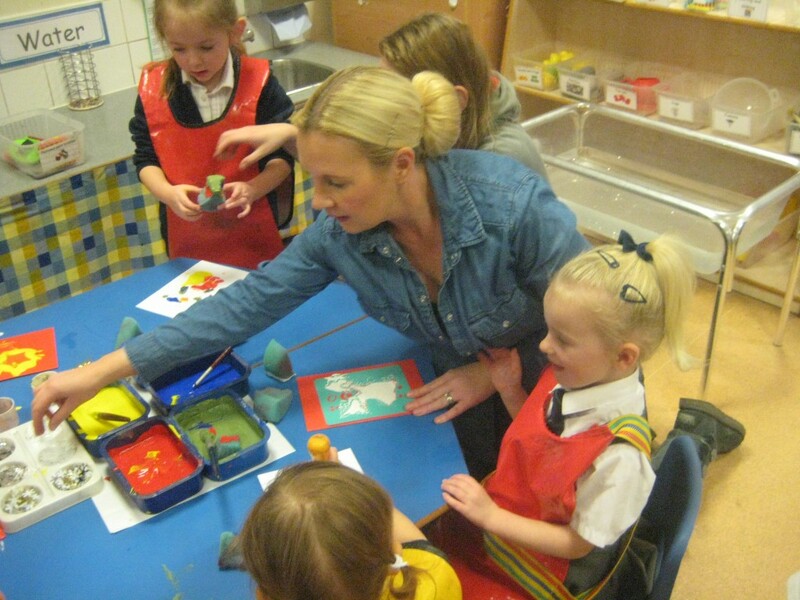 Click on the links below to access the Early Years Foundation Stage curriculum (Development Matters) and the parental support document (What to Expect When). These two documents give information about what a child is expected to be able to do in all areas of the curriculum by a certain age. The ages on the two documents are given in months e.g. 60 months is 5 years old. what-to-expect-when This document gives ideas about what activities you could do with your child at home to support their learning. Why not try to complete as many of these ideas as you can with your child. 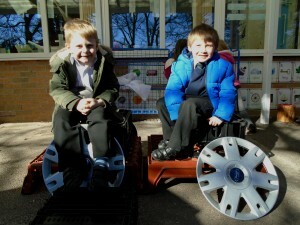 Most are free, some have a small cost attached but all are fantastic learning experiences you can share with your child. 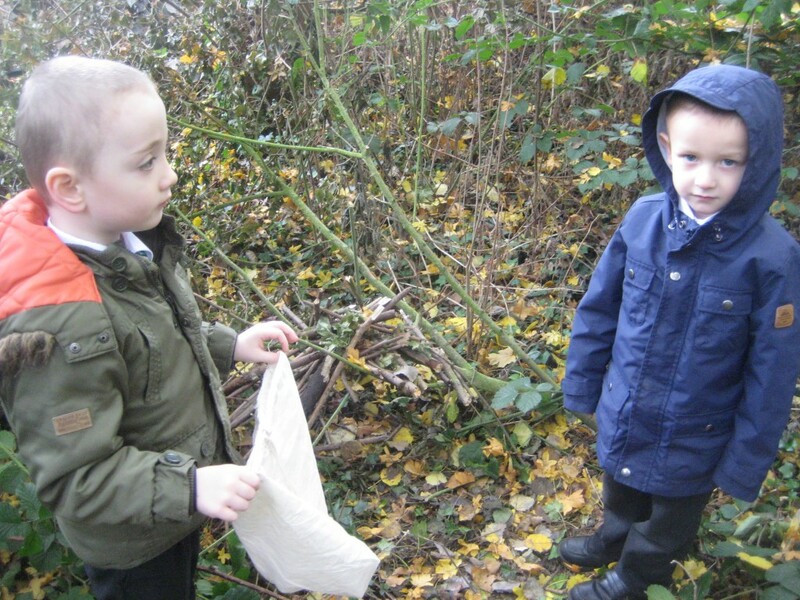 We would love you to have input into your child’s Learning Journey. 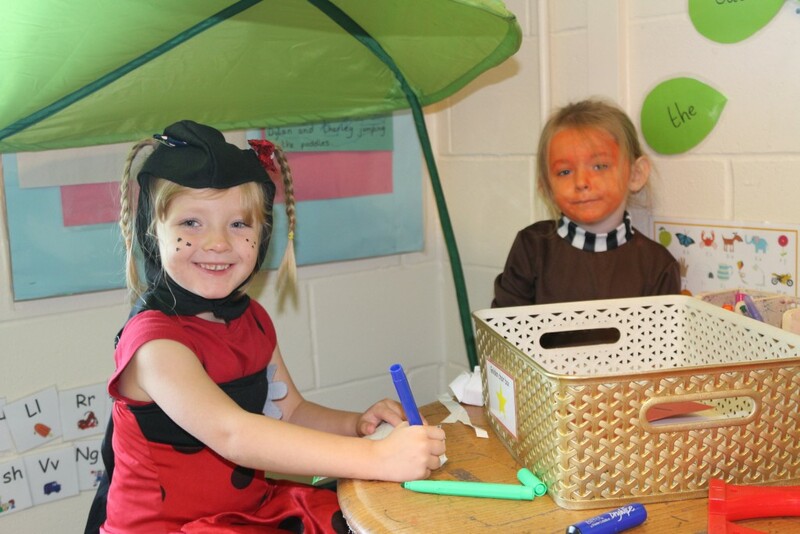 We know that there are so many wonderful experiences the children have at home and in the holidays that could be recorded through Learning Book. We have run Parent Sessions in school but for those of you who missed them, or for those who have forgotten the details, we have attached a simple to follow plan. We use Read, Write, Inc. to help our children to develop their phonics. 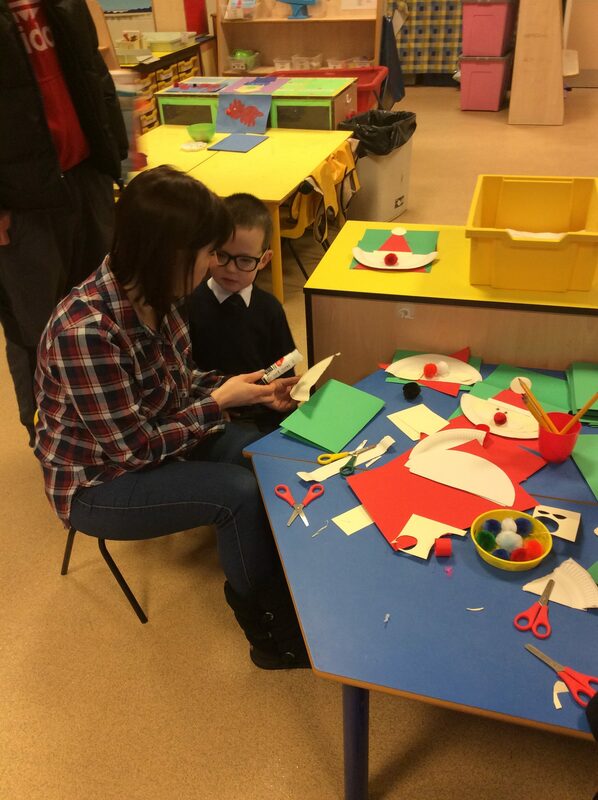 Each child will receive a levelled reading book to take home. 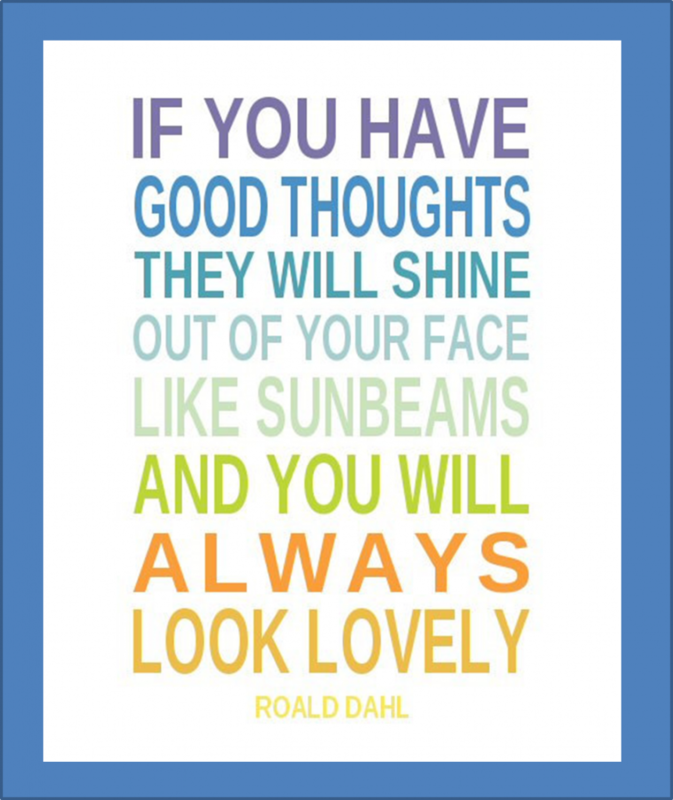 We encourage children to read at home at least 3x a week. This does not have to be the same book 3x; it could be the school reading book plus 2 other books of your child’s choice. 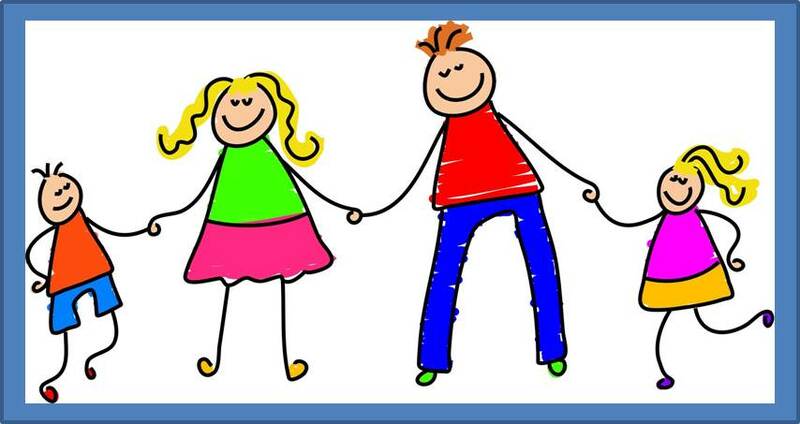 We ask that parents/ carers date their child’s reading record book with 3 different dates to evidence when their child has read. 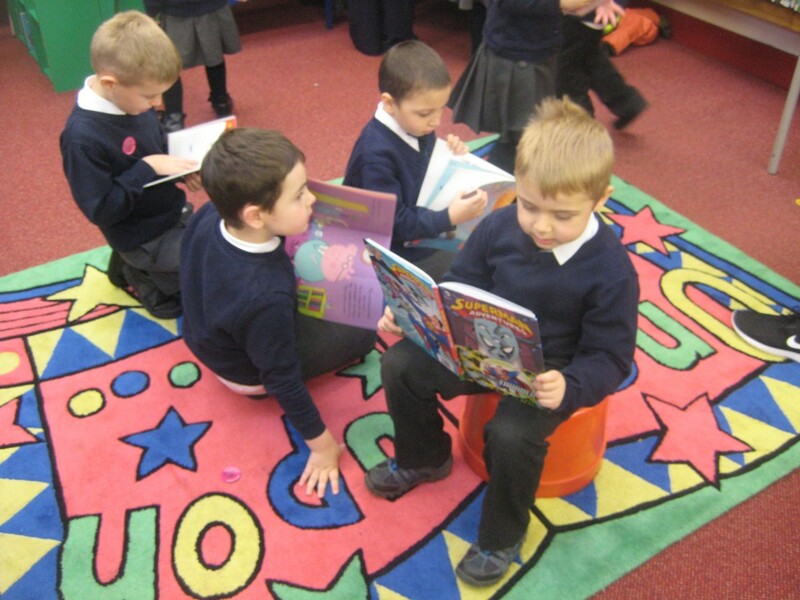 Children need to bring their book back on a Friday in order for it to be changed. 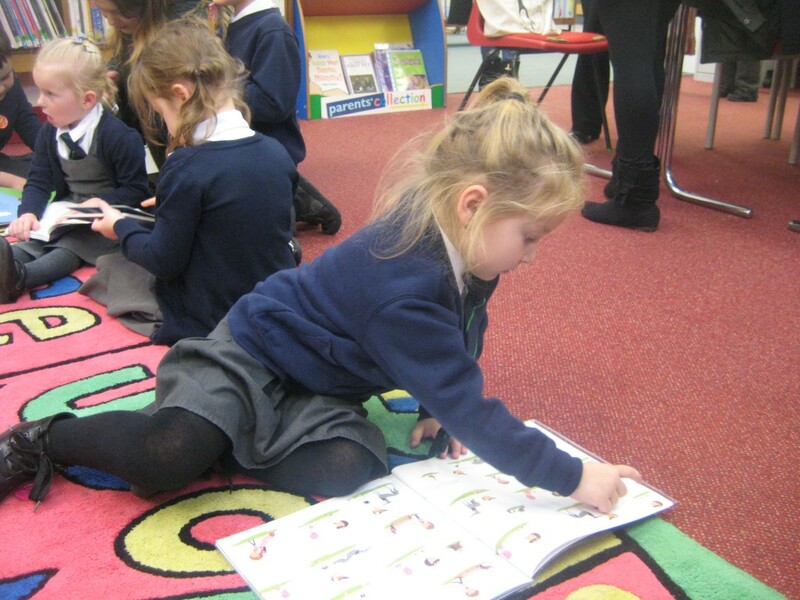 If children have read 3x a week, then they will receive a sticker to place on their ‘reading bookmark.’ Once children have completed their ‘reading bookmark’ with stickers then they will receive a reading certificate and the next level on their bookmark. The reading bookmarks start at orange and progress onto Gold. 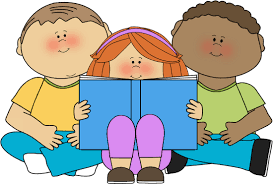 If children receive a bronze bookmark or above then they will be rewarded with a reading party at the end of the school year. Giving meaning to marks they make as they draw, write or paint. Hears and says initial sounds in words. Using identifiable letters to represent meaning. 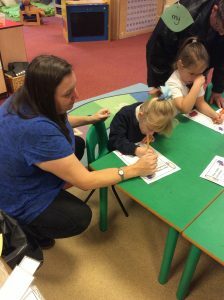 Encouraging your child to say what their marks mean when they have been writing, painting or drawing. 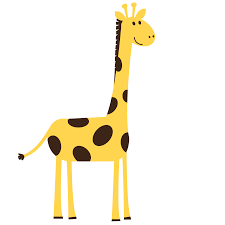 When your child has drawn a picture, you could encourage your child to label it; asking them identify the first and last initial sounds in their words. 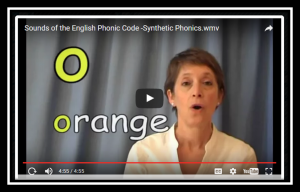 Can children represent the sounds that they can hear and represent them using letters? Selects the correct numeral to represent 1-5 and then 1-10. 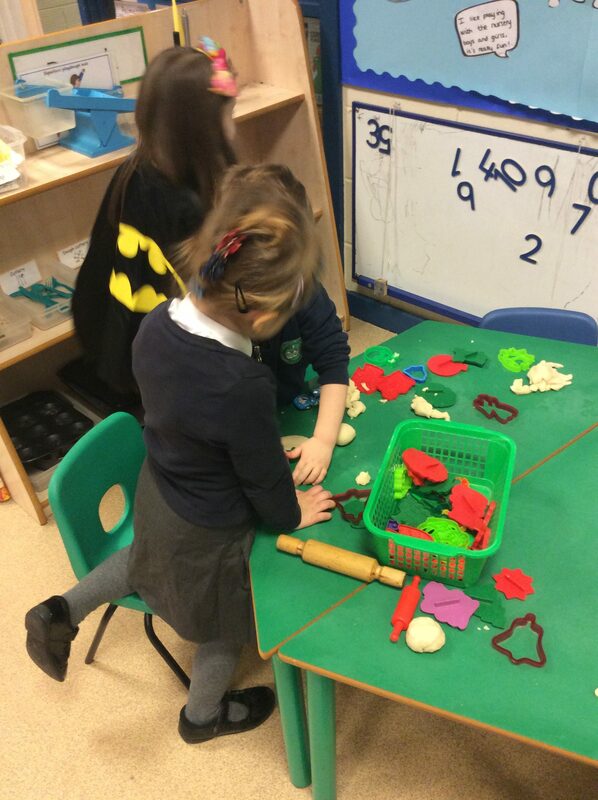 Children are to count an irregular arrangement of objects. Estimates how many objects there are and checks by counting. Beginning to name 2d shapes. 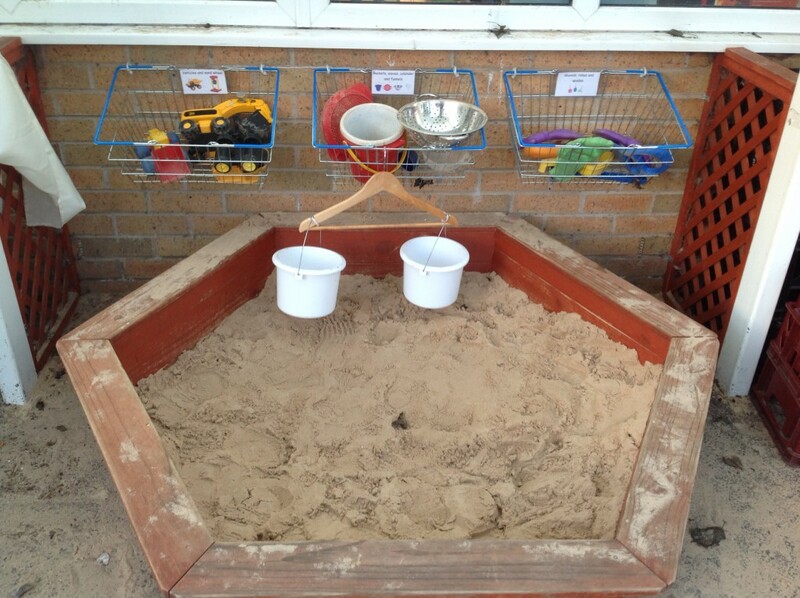 Uses familiar objects and common shape to create and recreate patterns and build models. Counting everyday objects at home or on outings and then writing the matching number, on paper, in the soil with a stick, on a misty window. Encourage children to count a selection of toys when they are playing or counting how many objects are on the dinner table. When your child asks ‘How many sweets are left?’ ask them to estimate (have a good guess) and then ask them to count to see if their guess was close to the actual number of sweets. 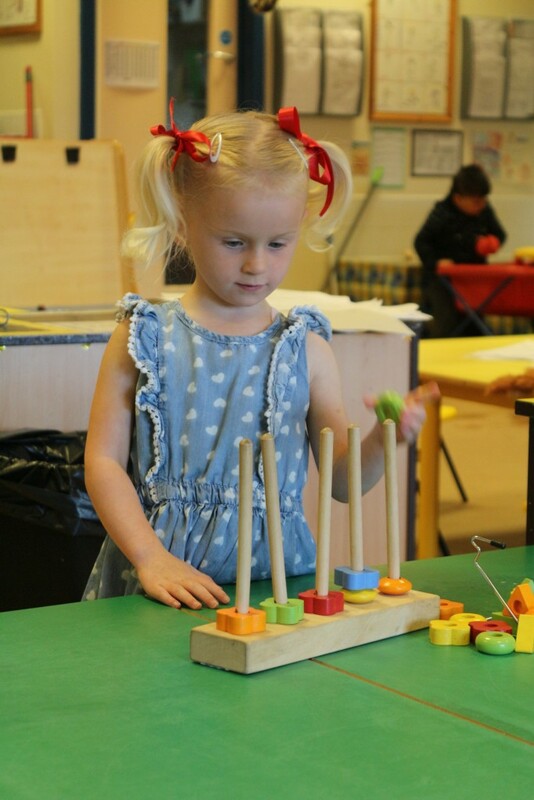 Encourage your child to create patterns using everyday objects from around your home e.g. red crayon or Lego bricks. If you would more information about the Early Years curriculum please visit either www.foundationyears.org.uk/files/2012/03/Development-Matters-FINAL-PRINT-AMENDED.pdf or www.foundationyears.org.uk/files/2015/09/4Children_ParentsGuide_Sept_2015v4WEB1.pdf. Please let the school office and the class teacher know if your child has any condition requiring medication, including allergies or asthma. 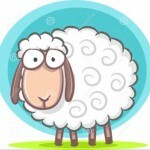 An additional form will have to be completed if medication is to be administered during the school day. This can be collected from the school office. Miss Gerstmar & Miss Hetherington. 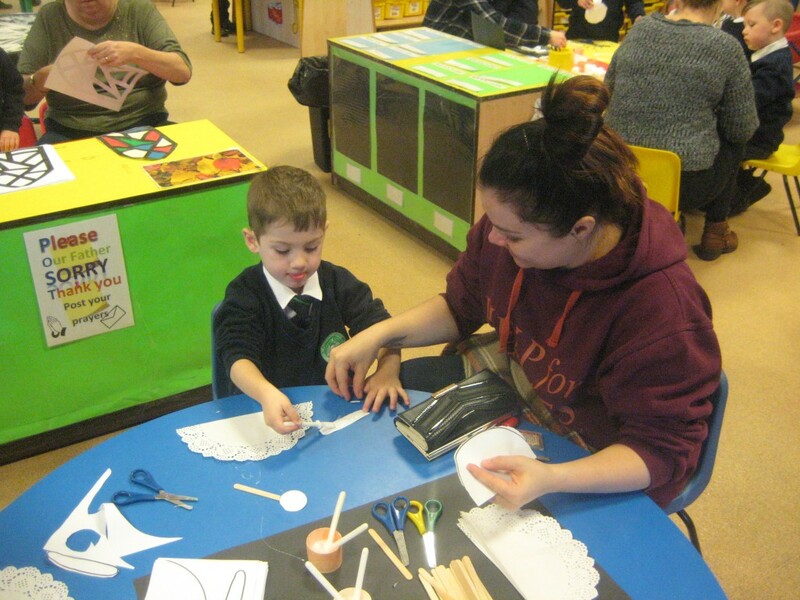 On Thursday we invited parents and carers in to our ‘Christmas craft’ session. 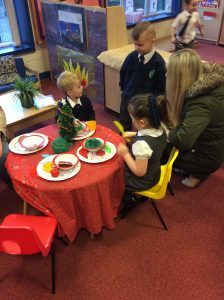 We really enjoyed getting messy; using our hands to create a picture of Rudolph and making our own Santa Clause cards! 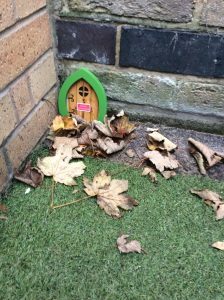 The children found a mystery door in our outside area. They had a long think about who put it there, who lives there and who it belonged to. They decided that it wasn’t Father Christmas as the door was too small. Possibly Santa’s little elf? What do you think? 30 experiences to share with your child. 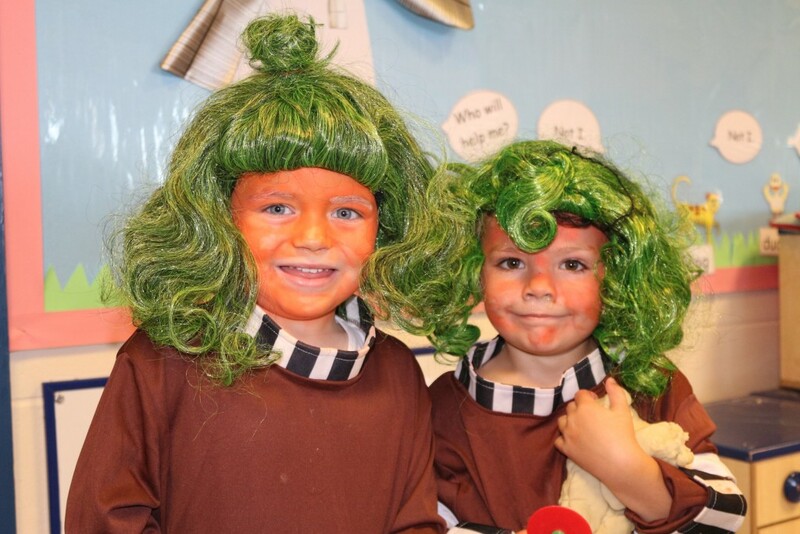 It is hard to believe that the children only have 1 term left in Foundation Stage before they move to Year 1. We wish Mrs Shepherd Woodhall all the best as she begins her maternity leave and in her absence FS2 will be taught by Mr Kettle, ably supported by Miss Gulliver, Mrs Chadwick and Mrs Heatherington. Attached is the overview for Summer Term, where you can find out about the things we will be learning this term. 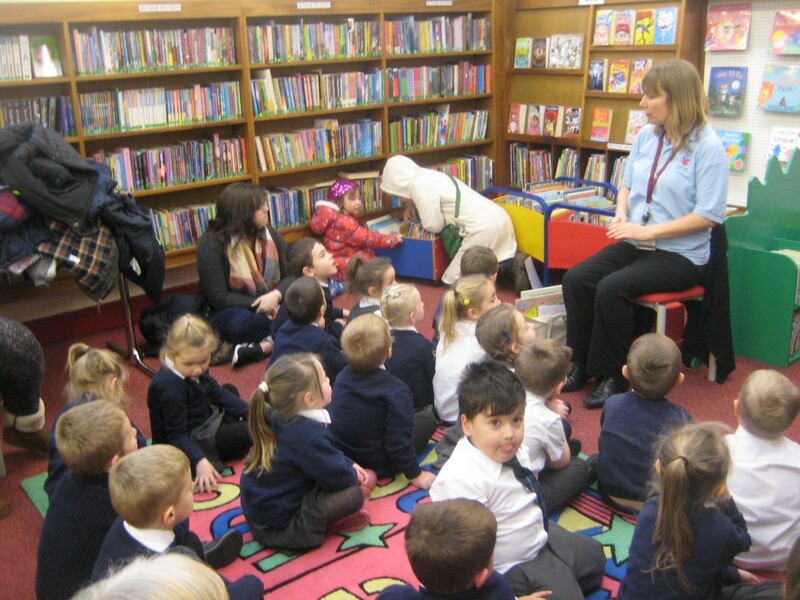 Children will be taking part in show and tell sessions during this half term. The topics are stated below and your child is welcome to bring in an item to talk about linked to the theme. 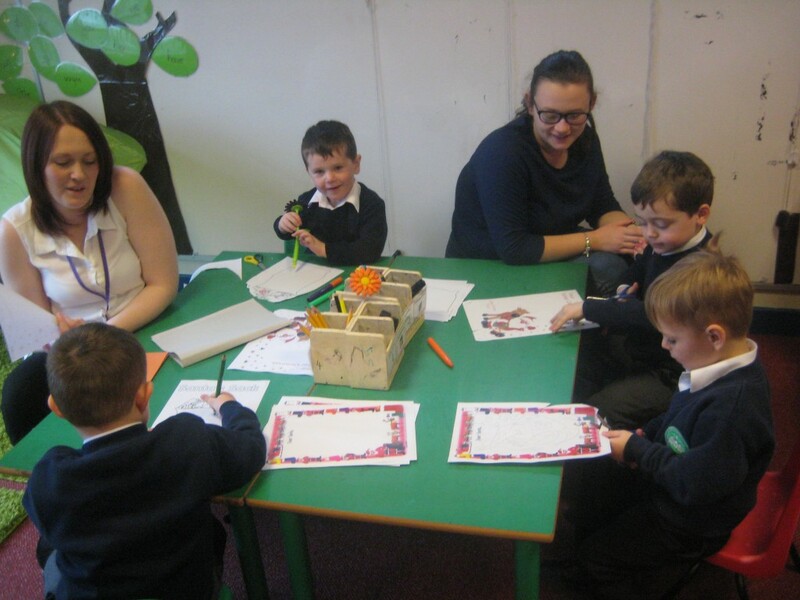 Show and tell sessions run throughout the week. 09/01/17 Have you seen the Stick Man and what was he doing? 16/01/17 What evidence hove you found of the Gruffalo? 23/01/17 What evidence hove you found of the Gruffalo? 30/01/17 What times and events do you and your family celebrate? 06/02/17 What types of transport have you been on? 13/02/17 Where have you been? 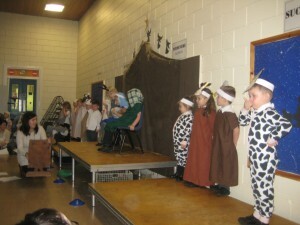 A massive well done to all the children and staff involved in the production. Thank you to all the parents, carers and grandparents who attend the stay and play session. A messy but fun time was had by all! There will be more stay and play sessions run throughout the year, so do not worry if you missed this one. 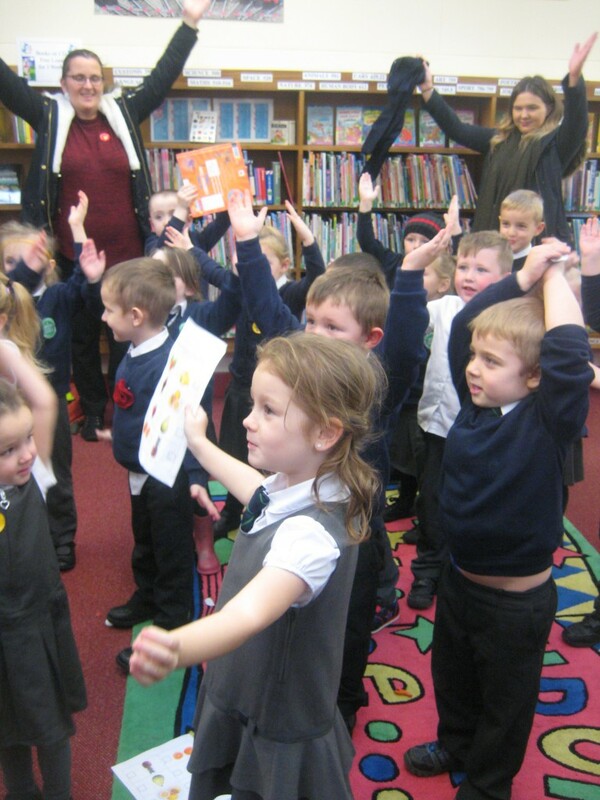 The reception children really enjoyed their visit to Darfield library where they sang songs, shared books and went on a reading treasure hunt. 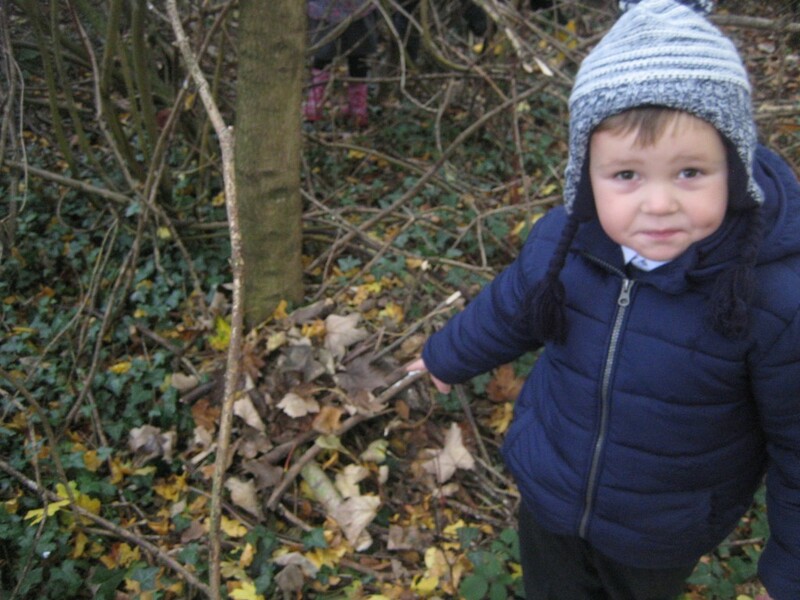 The children had an exciting morning on the field creating hedgehog homes. 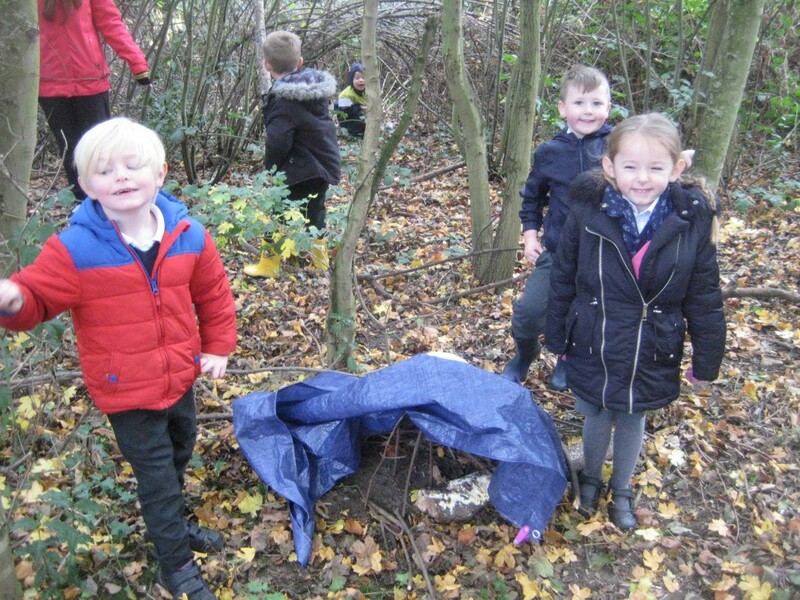 The children thought very carefully about where to build the hedgehog homes, what size they needed to be and what to build them out of to keep the hedgehogs warm and relatively dry. 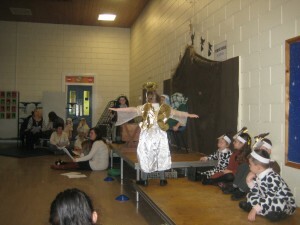 As you can see the end results were fantastic and very imaginative. 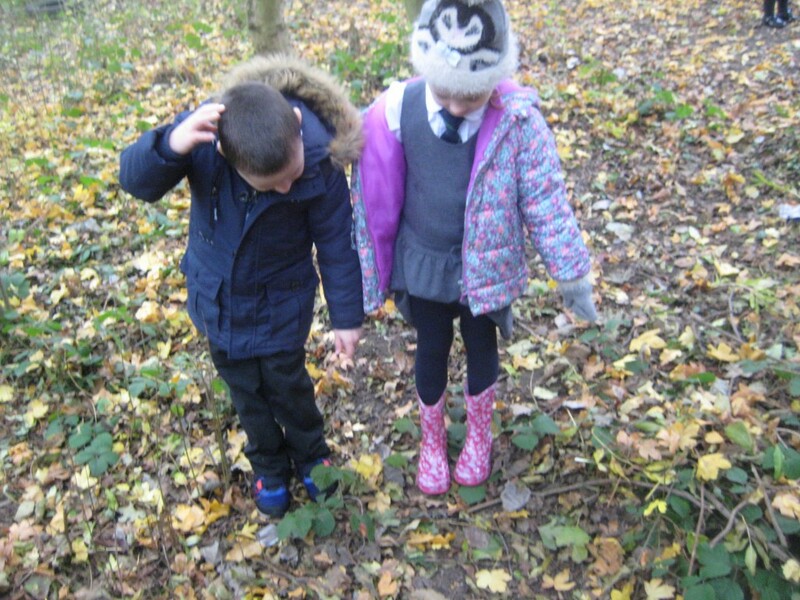 Forest school morning is every Thursday in reception (come rain or shine), so don’t forget your waterproof coat and wellies. Bailey made his out of leaves and twigs. 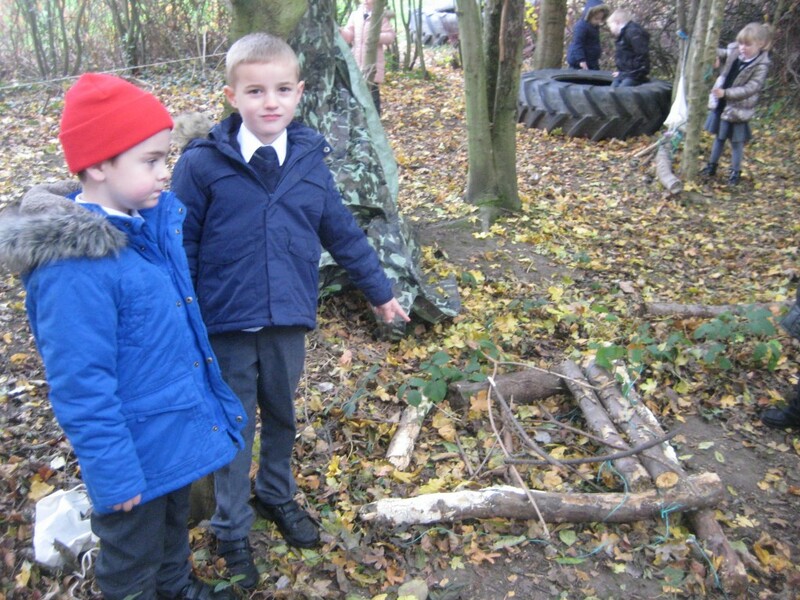 Louie and Cobie made theirs out of twigs. Their design even include a seasaw! 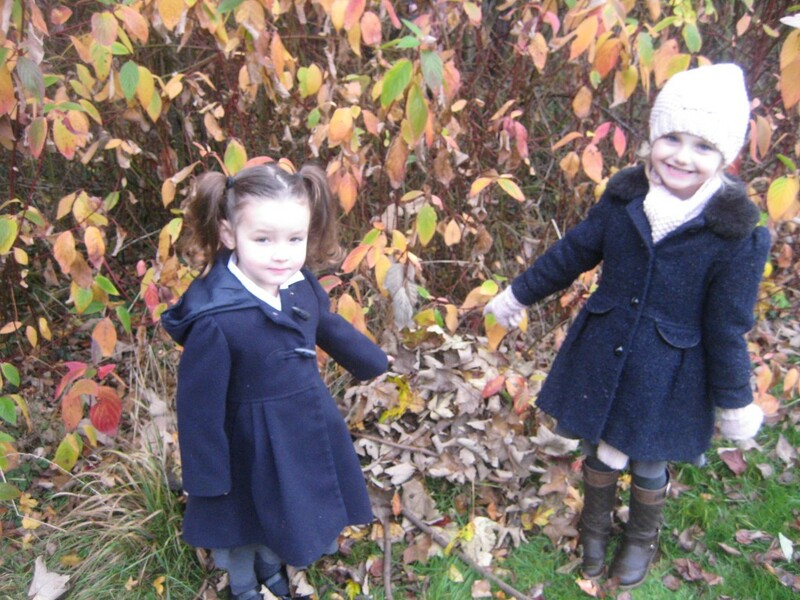 Layla-Mae and Anya made their home soley out of leaves. Hope made hers out of string. Riley and Zack made theirs out of twigs and leaves. Shelby and Lacey made theirs out of cloth bags. Brayden and Mason made theirs out of large logs. This came complete with a bramble chimney. Kevin and Ava made theirs out of leaves and sticks. 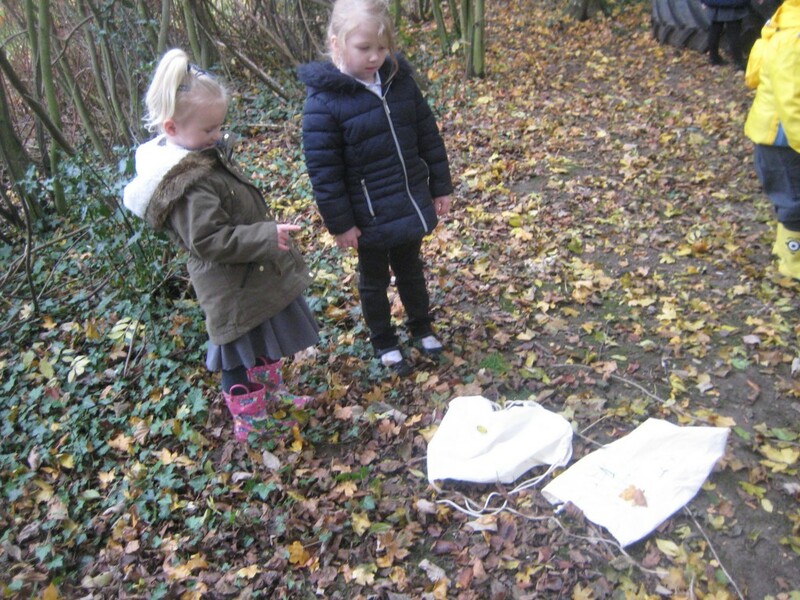 Triston, Ava-Rae and Samuel made theirs out of sticks and tarpaulin. 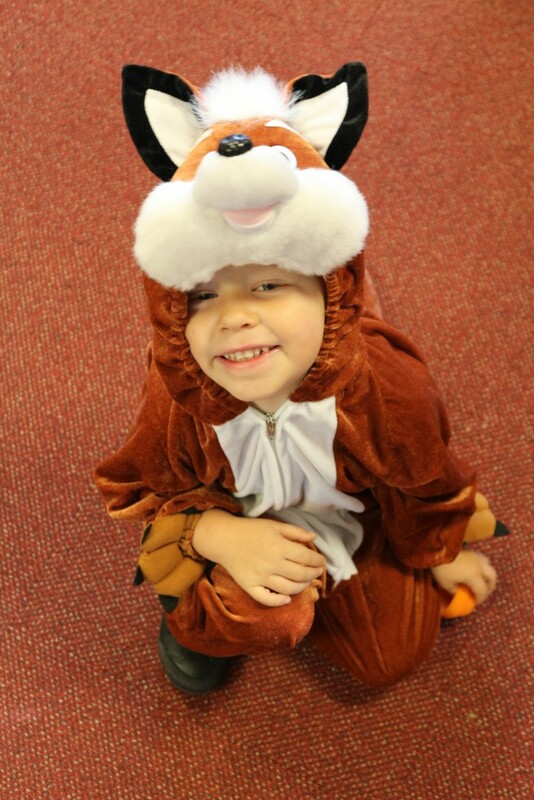 The children loved our Roald Dahl day and dressing up as characters from his books. 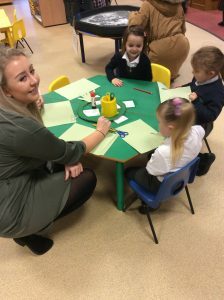 They did lots of activities throughout the day to support reading, had a scrumdiddlyumptious dinner and loved welcoming their parents into class at the end of the day. 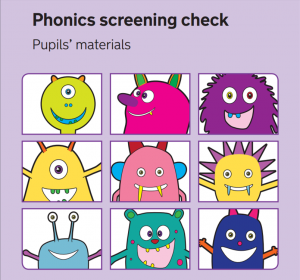 We use the Read, Write Inc scheme to support our children with the development of Phonics. 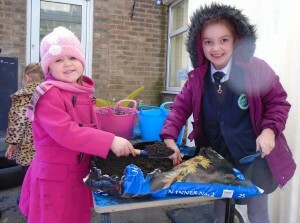 New content is coming soon – but you can scroll down to get some idea of what the children will be doing this year. 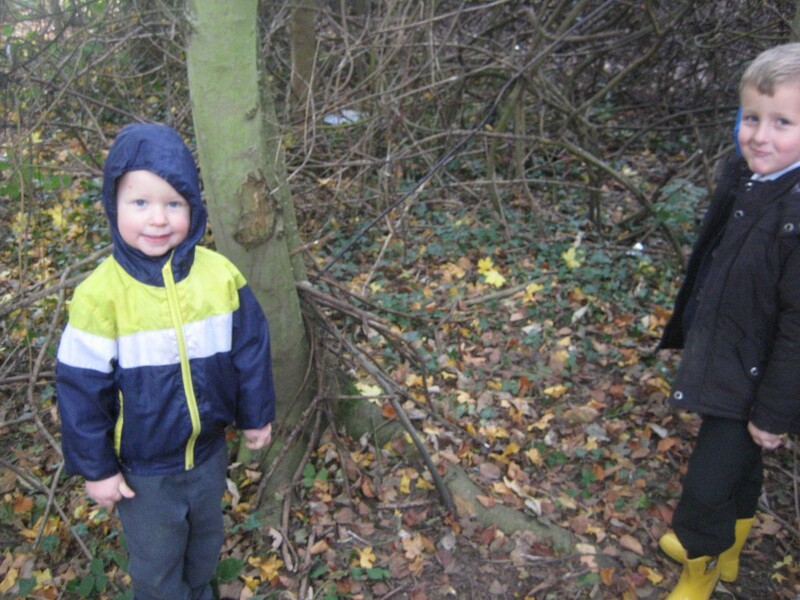 We will be talking about bonfire night and what the children did and what they saw. We will be looking at the festival of Diwali and how it is similar and different to traditions celebrated by the children in the class. 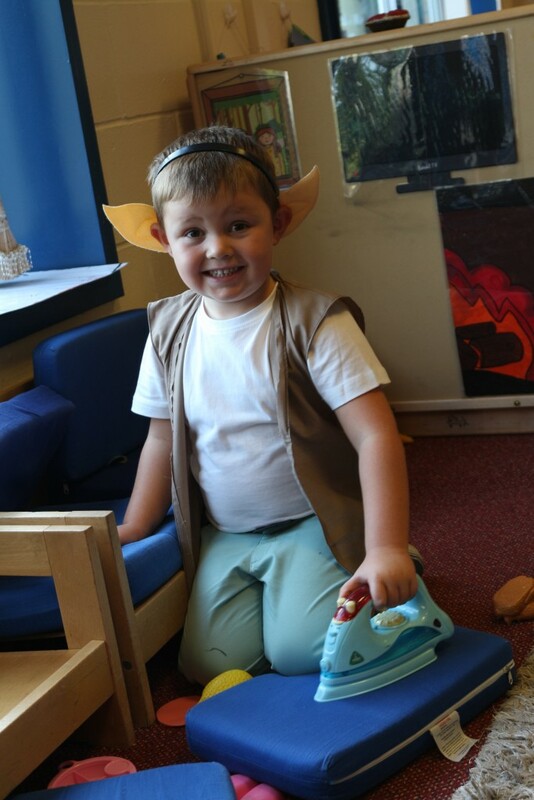 We will be reading lots of different traditional tales such as The Gingerbread Man, The Three Little Pigs and Stone Soup. 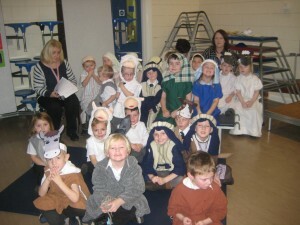 We will be looking at Christmas and what people do during the celebration. – Enjoys joining in with family customs and routines. 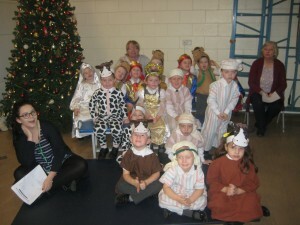 – Children are to talk about past and present events in their lives and lives of their families. – They know that other children do not always enjoy the same things and they are sensitive to this. – Manipulates materials to achieve a planned effect. Looking at why people celebrate bonfire night, Diwali, Christmas and what traditions take place during the celebration. 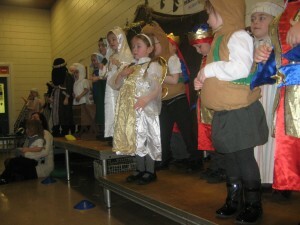 Discuss how these traditions are similar and different to one another e.g. feasting, presents, family gatherings. Read lots of different traditional stories and discuss what happened in the story and who are the good and bad characters. – Giving meaning to marks they make as they draw, write or paint. – Continues a rhyming string. – Segmenting sounds in words and then blending the sounds back together. 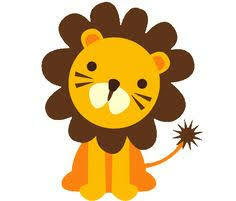 Encouraging your child to say what their makes mean when they have been writing, painting or drawing. When playing or on a long car journey play rhyming games, they can be real or made up words e.g. pig, wig, jig, fig, hig. When walking around the supermarket, encourage your child to segment (chop up into sounds) and blend (put the sounds together again) the items they see e.g. s-ao-p = soap, p-o-p = pop, f-i-sh = fish. – Selects the correct numeral to represent 1-5 and then 1-10. 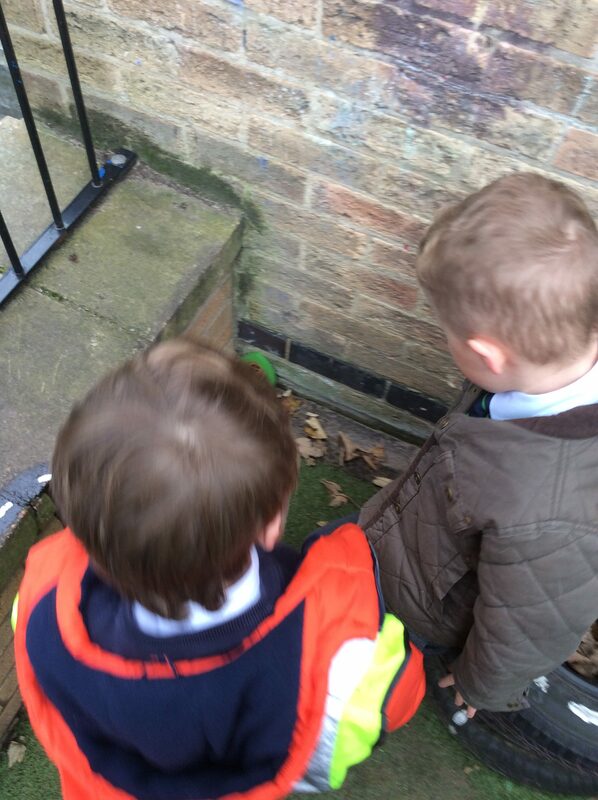 – Children are to count an irregular arrangement of objects. – Estimates how many objects there are and checks by counting. 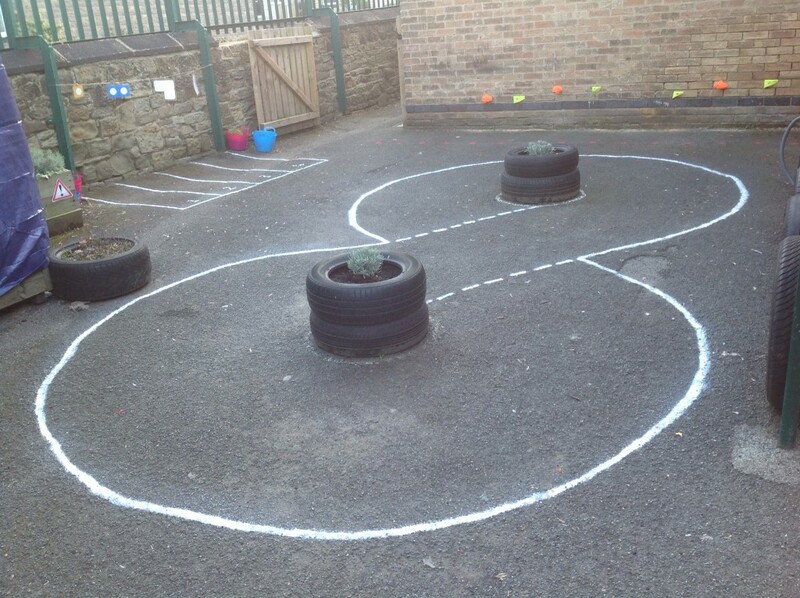 – Uses familiar objects and common shape to create and recreate patterns and build models. The first link is to the curriculum used in school by staff and the second link is to a more parent friendly version, which gives suggestions about how you can support your child at home. 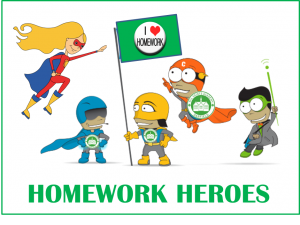 Homework will comprise of a leveled reading book, a topic based task and a maths based task. 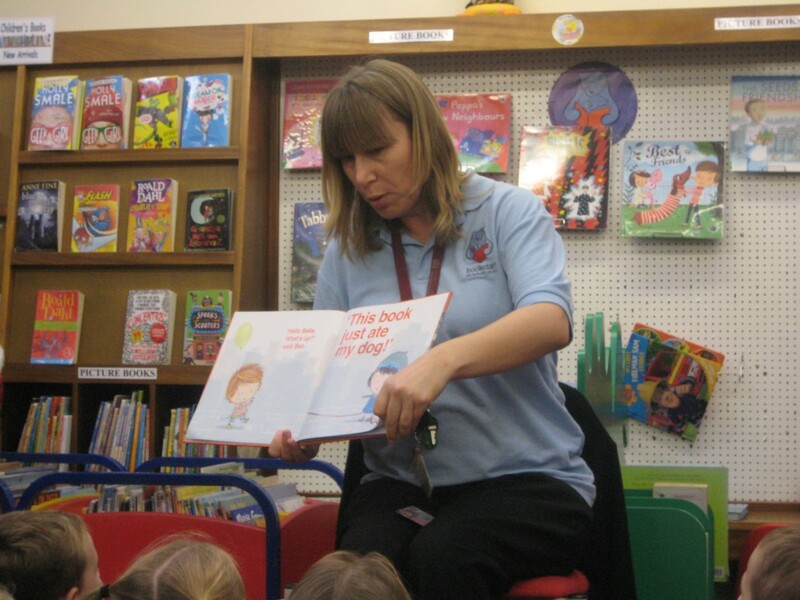 Children are expected to read at least 3 times a week at home, therefore book bags are sent home daily. 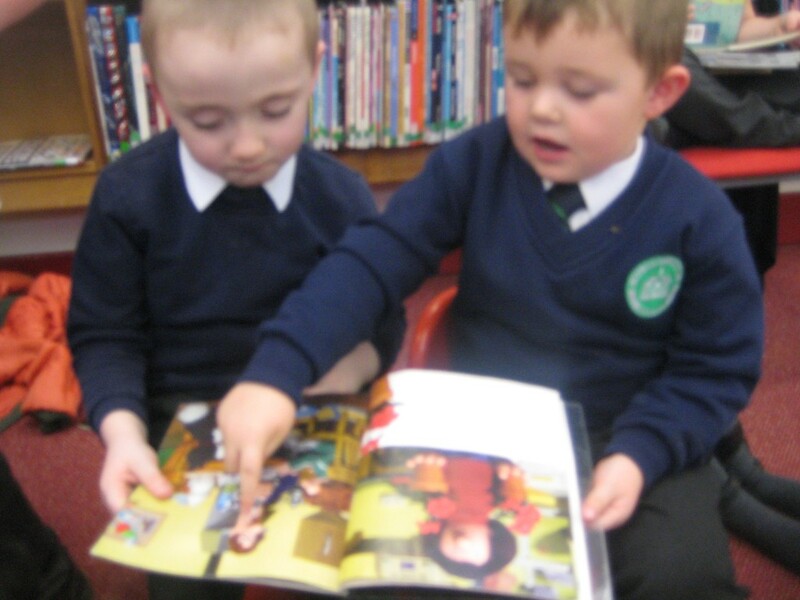 Your child does not always have to read their levelled reading book, as they could read a book which they enjoy at home. It is requested that you record in your child’s reading record when they read at home as we check this on a weekly basis. At the end of each day a child is chosen at random and if they have read the previous day they can choose a prize. 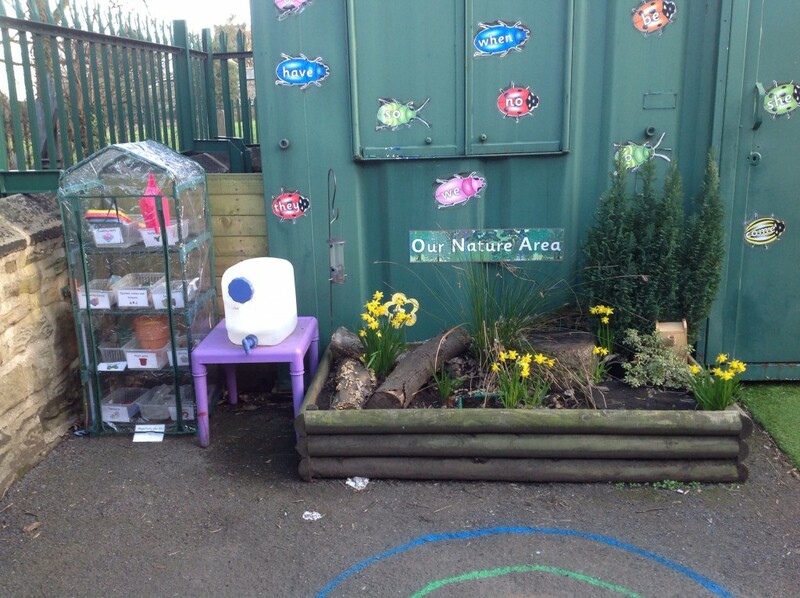 The above photographs show the development of our outdoor area.